Hi, I have a corn snake. He is an adult male who is 3 years old. It weighs about 200 grams. How much more or less is it worth? If the post is in the wrong section, I am asking for a transfer. There are way too many variables to answer your question with any accuracy. I think an adult corn like yours should be more valuable, since someone spent time and resources to grow it out. But what it boils down to is how many corn breeders are in your area, I'm assuming Poland. 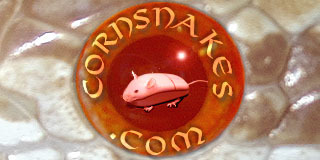 I have purchased adult male corns for between $100-$125 and they were nice ones too. For someone needing your particular morph they might spend up to $150 to buy it. I can't speak for it's value but he's a very pretty snake.